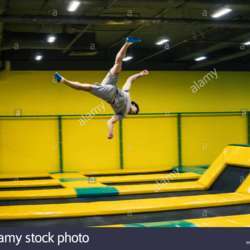 You must be a member of the Munich Jump on the Trampoline Group to attend this activity. Would you like to join this group? Was you ever interested how acrobats do their tricks? Would you like to try with instructor? Jump Academy in Protected content open beginner course specially for Internations. 2 days, 4 hours in total. This will be part of the fee for the course. Course group are 5 people. As such small number is very sensitive to non show up, I am count you as a participant after transfering the deposit.